Losing Patrick Swayze to pancreatic cancer was a very sad day. He'll never be truly gone from our lives as we can always see him in one of his wonderful movies, the way we came to know him. It's his lovely wife Lisa I feel sorriest for. The two of them were married for 34 years and totally devoted to each other. A rarity these days, and not just in Hollywood circles. He and Lisa wrote this book which came out shortly after he died, and in it we get a glimpse into the lives of a young Patrick and Lisa and how they were shaped to become the accomplished dancers/actors they became. How he even managed to become such a good dancer after a horrible injury to his knee during a high school football match is a miracle. But, because of his nature and determination, he persevered and ultimately succeeded. Their endearing story of moving to New York from Texas to pursue dance careers will have you turning pages at a rapid rate. It's not a rags to riches story per se, and I certainly appreciated their not having any money for food situation. 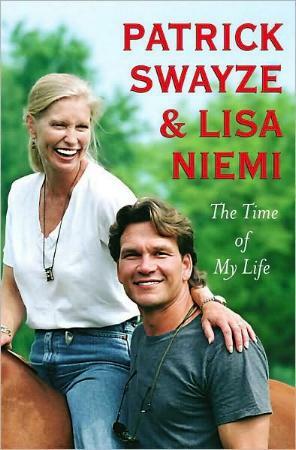 Thankfully though, Swayze found film work after moving to Los Angeles and their finances changed. He talks about his work on The Outsiders, Ghost, Red Dawn, Dirty Dancing, North and South and others, and his and Lisa's work they did together. He writes passionately about his love for his wife and friend, about his body of work, his family, his travels, his illness, and nowhere is there any gossip or malicious feelings. A true gentleman. He proudly always included Lisa in everything and he shares her work with us which has largely gone by without much fanfare. You don't often come across such devotion, from both sides. Deep down, this actor/dancer/singer/songwriter, despite his success in the world of entertainment, was a cowboy. We miss you. Conclusion - Romantic, uplifting, encouraging, brave, and a beautiful love story so eloquently told. I highly recommend this book, hence the three stars!